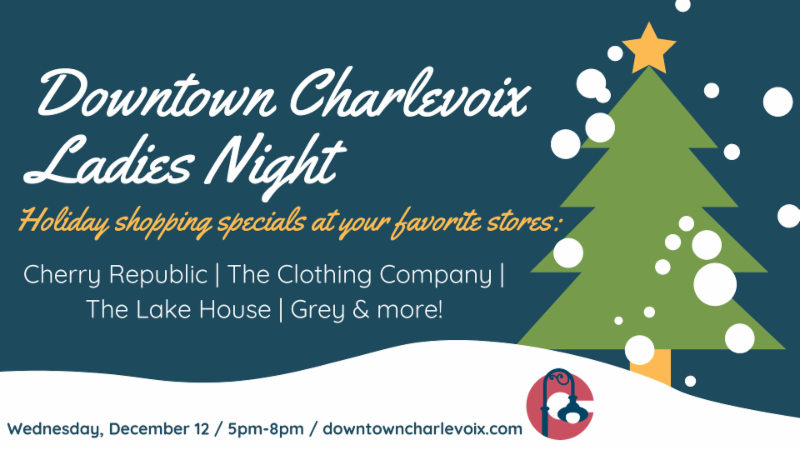 Tonight is Ladies Night in Downtown Charlevoix! Join us Downtown Charlevoix on Wednesday December 12th from 5pm-8pm for Ladies Holiday Shopping night! Your favorite stores will be open late and will be offering specials and treats for your last minute holiday shopping needs. 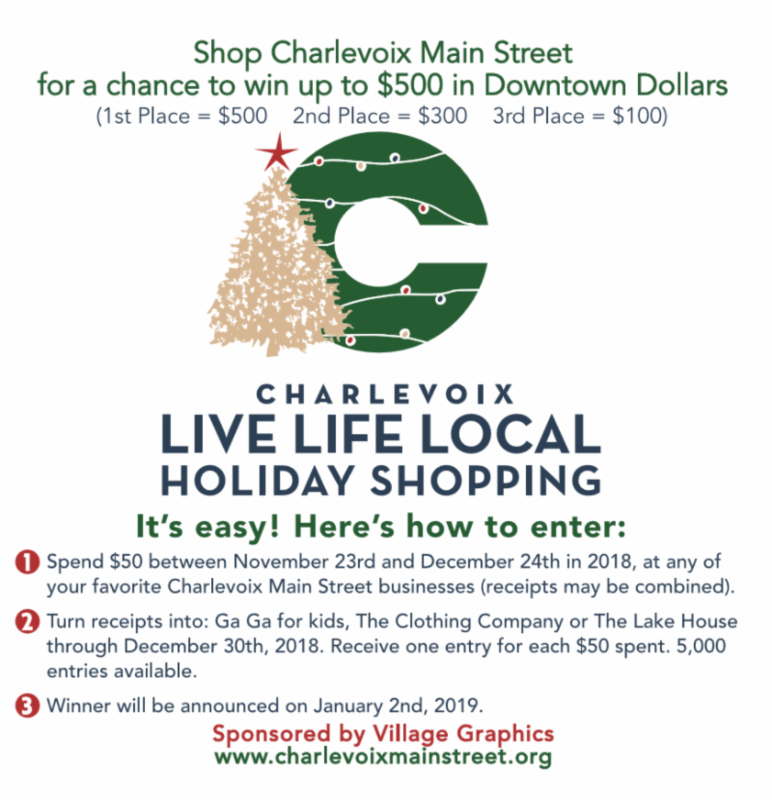 Don't forget to keep your receipts and turn them in - every $50 spent = 1 entry into the Live, Life, Local Shopping Campaign ! Cherry Republic of Charlevoix will be offering 20% off storewide (from 5pm-8pm, excludes shipping) as well as $5 full wine tasting, heavy appetizers including our Famous Meatballs, Blue Cheese Cherry Dip, and Jingle Juice! We always offer free gift boxing too! The Clothing Company will be hosting a raffle, has discounted items, and will be giving away champagne and chocolate! The Lake House will be hosting a raffle, has discounted items, and will be giving away margaritas and snacks. Grey 20% off storewide + We will have the bubbly chilled and serving treats from our neighborhood Kilwins! The Taffy Barrel - We will be offering a variety of deals and YOU get to draw your own sale! We'll also be having complementary wine, appetizers, and desserts! elements gallery Charlevoix Michigan free gift wrapping and refreshments! Every purchase will have a discount anywhere from 10% off on up off an item or your total purchase! And we also have a Gift Wish List for you to fill out and we will contact whomever you put on your list! Tranquility Massage and Bodywork & The Spa Charlevoix: Stop by for a FREE Brow Wax & FREE Chair Massage and shop from our selection of Handmade Jewelry, DoTerra Essential Oils, Mary Kay & other Holistic Wellness Gifts. We'll have Day Spa Gift Certificates available for purchase for your gift giving - and Bentley Hill Bakehouse will have ready to decorate cut out cookie kits, assorted cookies and treats and order forms for your holiday baked goods! 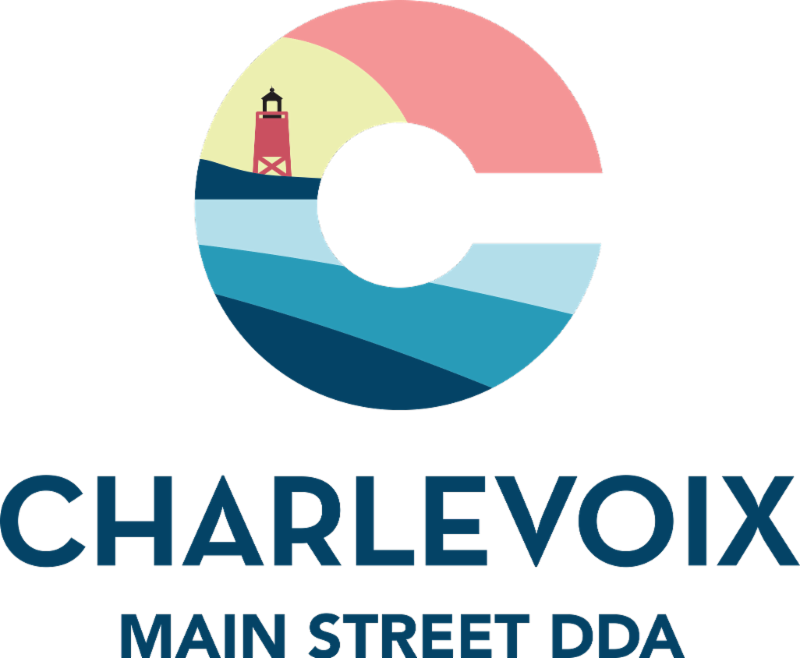 Thistle Wednesday is YOUR night in downtown Charlevoix! 👸We are celebrating by offering special discounts on our premium denim, DL1961. 👖This line, based in NYC, stands out with exceptional fits, premium fabrics, and sustainable manufacturing methods. Receive 15% off one pair or 20% off two or more pair purchased during the event. BONUS: if you try on a pair that day you will be entered in our raffle for a FREE PAIR!! We know once you try them you will love them! Cottage Pottery Enjoy holiday discounts painting with your friends & family at the Charlevoix Ladies Night. Charlevoix Circle of Arts - The Charlevoix Circle mARkeT is ready to welcome you for ladies night 🥂 Soooo many ornaments....starting at $5.....each one handcrafted locally! Special deal on holiday keepsake cards by Smarty Pants! Round Lake Outfitters - 20% off Store-wide from 5-8. Come in, find some awesome gifts for your family and enjoy some refreshments! True North Interior Design & Antiques - Wednesday night we will be open till 8:00pm for Downtown Charlevoix Ladies Night. The rumors are are true, we will be serving WINE!!! BLOOM - 20% off all Christmas items and serving bubble and sweets.